HYDERABAD: Chief Minister Mr K Rosaiah on Sunday said the State would attract private sector investments to the tune of Rs 70,000 crore in coming few years, thereby generating 25 lakh jobs. The Chief Minister, who on Sunday reviewed arrangements for Brandix India Apparel City (BIAC) set to be unveiled by him in Visakhapatnam today, revealed that the Government had received proposals for setting up of a Coke plant, glass factory, paints unit and ferro alloys plan and more such units would come in later. He reiterated that State was fortunate to have bagged lion share of 73 SEZs out of a total of 346 such projects in the country and the SEZs would boost private investment. The SEZs already brought in Rs 700 crore investments and created nearly one lakh jobs, both direct and indirect,the Chief Minister remarked. 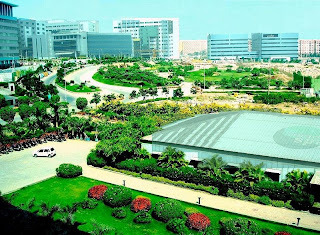 Besides BIAC that is expected to bring in Rs 6000 crore investments and generate 60,000 jobs, Andhra Pradesh Special Economic Zone, a multi-product SEZ and Petroleum, Chemicals and Petro Chemical Investment Region (PCPIR) are also projected to create significant number of jobs.